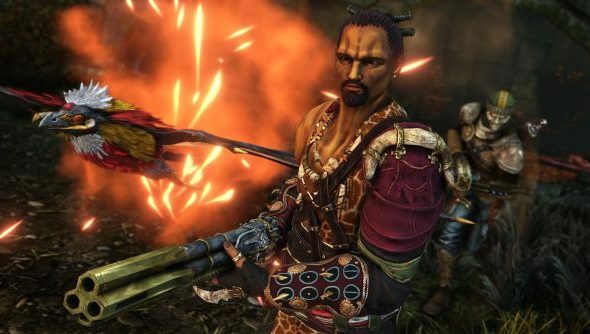 After more than a year on Steam as part of Early Access and a much longer development time, asymmetrical arena game Nosgoth is getting shut down before it reaches its final version. Rumoured earlier in the day and now confirmed by Square Enix, development has ceased on the game and servers will be shut down at the end of May. This follows a long development history where it was initially meant to be the multiplayer portion of a full Legacy of Kain game. Need something new to play without spending? Here’s the best free Steam games. The announcement comes in a forum post on the official boards, which states simply that “ultimately [Nosgoth’s] audience hasn’t grown enough to sustain ongoing operations.” The realities of developing a free-to-play title in 2016 – it’s a stacked market with game people have dedicated thousands upon thousands of hours to. Not everyone’s going to flourish, and frankly it’s impressive the number that do. Those that have paid for in-game items since March 1 will be refunded automatically in the next couple of weeks. Purchases between now and the game going down won’t be possible. Those who grabbed the Definitive Pack on Steam will also be refunded through there. The forums are getting closed down on June 14, while the ESL-ran tournaments are continuing for this month alone. As for the franchise, they say that “any future Legacy of Kain project will be considered independently of Nosgoth and on the merits of the proposals alone.” Doesn’t sound like there’s anything in the pipe, but they’re not ruling it out either. Have a read of the full post and unhappy fan reaction on the forums. The general feedback seems to be that they didn’t listen to and act on the complaints of the community fast enough – but it should probably be noted that every community in the history of games has held that opinion, regardless of its success. Hopefully everyone involved lands on their feet.